Worldhotels has named the first properties to sign up to its full branding proposition. The company is inviting its portfolio of 450 four- and five-star independent properties and smaller hotel groups to rebrand as a Worldhotel. Two German properties will become fully fledged Worldhotels from January 2011 – the Golden Tulip Hamburg Aviation will be renamed the Worldhotel the Rilano Hamburg, and Tulip Hotel Munich City (pictured below) will become the Worldhotel the Rilano Munich. The Worldhotel Saltanat Almaty in Kazakhstan, scheduled to open in January, will be the first new-build property under the brand. 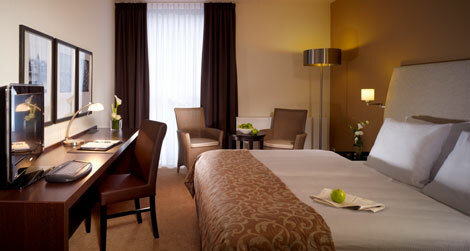 Hotels in Frankfurt and Vienna are to follow. Robert Hornman, Worldhotels’ managing director, said the move would help its member properties to compete against the major chains. “If you are surrounded by big brands it’s not easy to compete,” he said. “We are offering a non-cookie cutter approach – we can give them stronger visibility but at the same time allow them to keep their own character.” Hornman said branding at the properties would be subtle, with signage on the roof and in public areas. Hornman estimated that 5 per cent of existing hotels in the portfolio would take up the proposition to start with, and that 20 to 30 new properties would be added in the next 18 months. It aims to have 50 signed up by 2013. Worldhotels is 40 years old this year and has properties in 65 countries, totalling more than 110,000 rooms. Members include the Royal Garden and the Washington Mayfair in London, and the Mint (formerly City Inn – see online news November 29) and Buddha Bar hotel chains. It has partner agreements with 18 airline frequent flyer programmes, the most recent to be announced being Virgin Atlantic’s Flying Club in October. Visit worldhotels.com for more information.